The Conference is all about “developing the community who are developing the art form”. 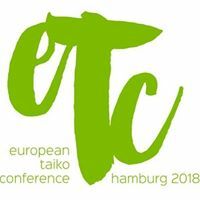 The format will be similar to this year’s European Taiko Conference: workshops with international taiko players, performances, presentations, discussions, and socialising over shared meals. It’s a fantastic opportunity to learn about taiko generally, European taiko specifically, and to meet new taiko friends, and old. English is the principal language of the Conference, but we will make every effort to facilitate understanding and active participation of those for whom English is not the first language.